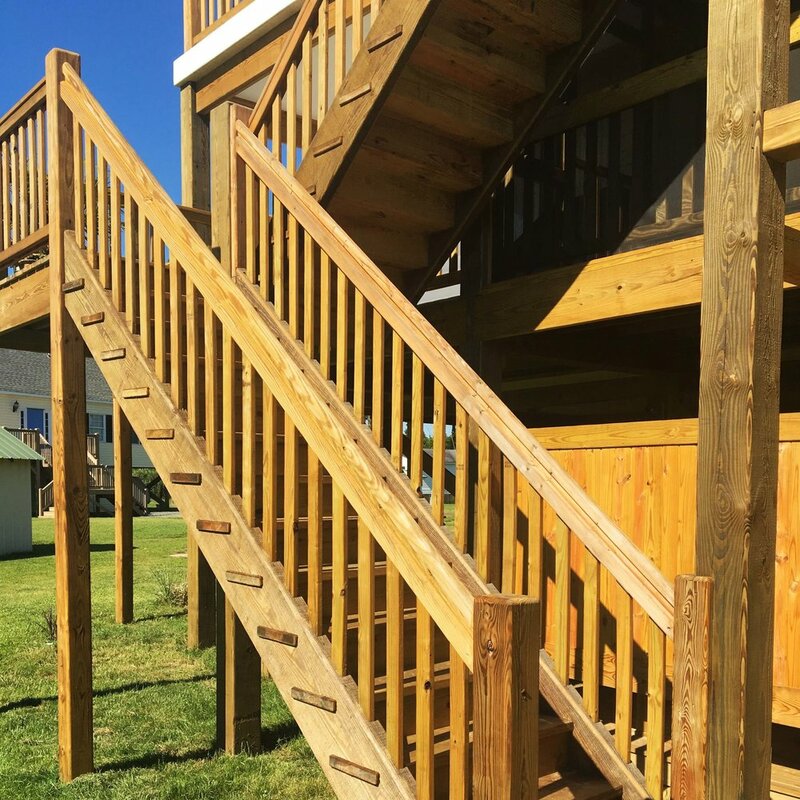 We at Bayside Joinery Co. have taken our decks and stair systems to the next level with our signature mortise and tenon joinery. This method of interlocking components together in addition to heavy-duty screws ensures a lifetime of enjoyable summer parties, sunset dinners, and relaxing on your solid Bayside Joinery deck. Like all of our woodwork at Bayside Joinery, we build our decks to last. 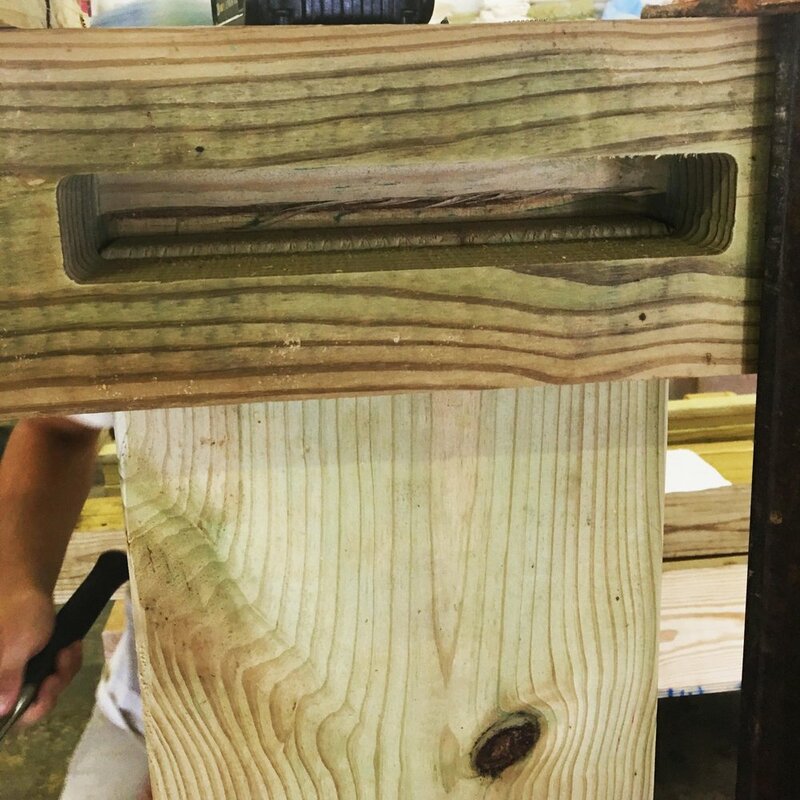 The most notable difference between our competitor's decks and ours is our mastery of mortise and tenon joinery, which is used heavily throughout our deck systems. Instead of relying on screws and fasteners to hold our members together, each member is routed out to accept its adjoining piece. A great compliment to our unique techniques is our unique method of building shop-built components in our shop and delivering them to the site to be installed. For instance, small stair landings (above, right) are completely fabricated in our controlled shop environment to ensure the ultimate in quality control and accuracy. Another unique aspect of a Bayside Joinery deck is our system of building stairs. A fully-housed thru-mortise tread projects through the stringers for maximum strength. These treads use fasteners only to keep the wood from shifting during the inevitable drying process. Otherwise, the stairs are completely self-supporting. Ready to get started? Contact us below for a free estimate!